Let your stationery speak louder than words! 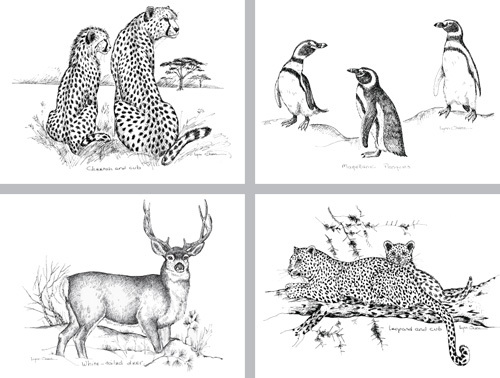 Set of 12 assorted note cards featuring sketches by Wildlife artist and conservationist Lynn Chase. 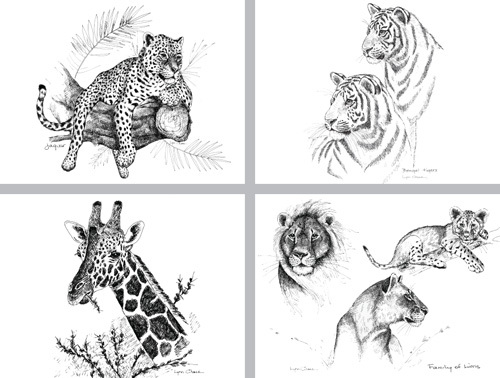 Perfect for a thank you note or a letter to a friend, these notecards are sure to add a little wild to your words. 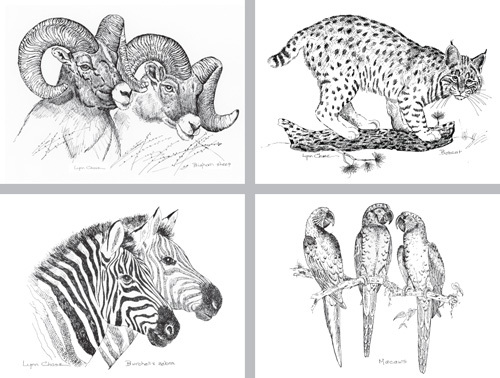 Sales of this item benefit the Lynn Chase Wildlife Foundation. A6 envelopes included. 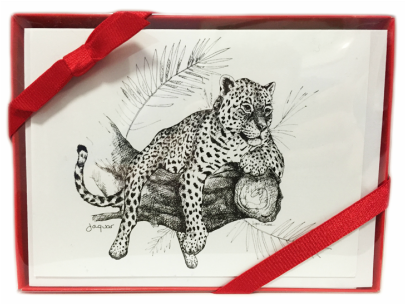 Set is gift-boxed in a high-gloss red box with clear front and red ribbon. Measurements: Folded notecards: 6" x 4-1/2". Envelopes: 6-1/2" x 4-3/4"